The idea of YOU.FO started at home with a rubber ring and a broomstick. With the assistance of industrial designers and a professor in aerodynamics the concept gained more body. Students of HAN University of Applied Sciences tested the effects and the experiences within the target groups and gave insight into the market opportunities. With the money that came with the award we could do some extensive testing at the FieldLab in Eindhoven, in an environment with a good innovation climate and good partners to cooperate with. They have the knowledge and experience to help us to introduce such a product to our target groups. Also students provided us with new product ideas. 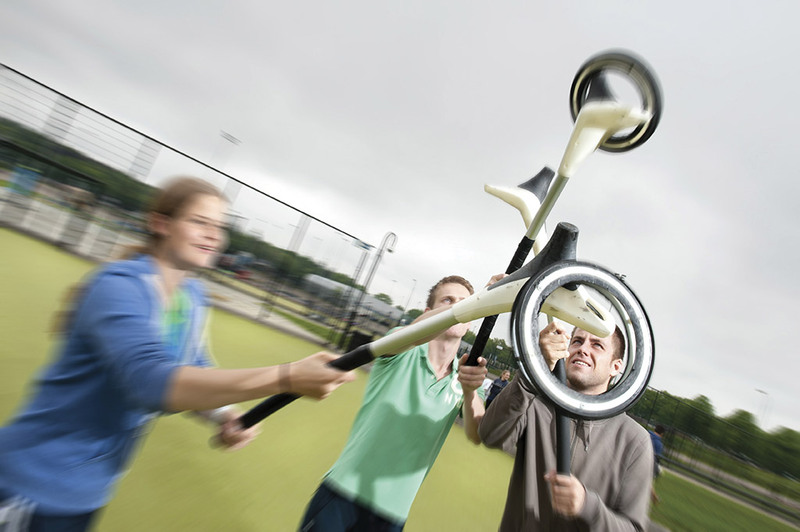 YOU.FO, an idea by Bas Ruyssenaars is an innovative throw and catch sports game. In designing this game Ruyssenaars was inspired by frisbee, jai lai and martial arts. YOU.FO was winner of the ProFit Innovation Competition 2012 for the FieldLab Eindhoven and was extensively tested there. Since then the start-up has brought the product on the market in several countries.